Home Travel An Andaman Holiday, like NEVER before! “Oh, this is so breathtaking, looks like some exotic destination from Europe”, said a gentleman admiring the sight below before landing at the Port Blair airport. The aerial view of Andaman and Nicobar islands can keep one mesmerized for a lifetime. The archipelago is like a string of green emerald scripted into the crystal clear waters of the Indian Ocean. It is true, there is no need to run to other beach destinations in Asia when we have our very own Andaman islands. Port Blair will you be the first stop of your Andamans visit. 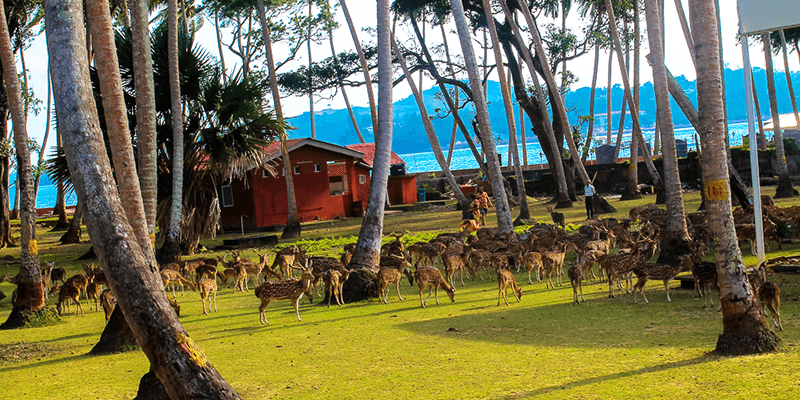 Trust me, though you will love its beaches and clean views, this is only half of the beauty that awaits you when you go island hopping in the Andamans. 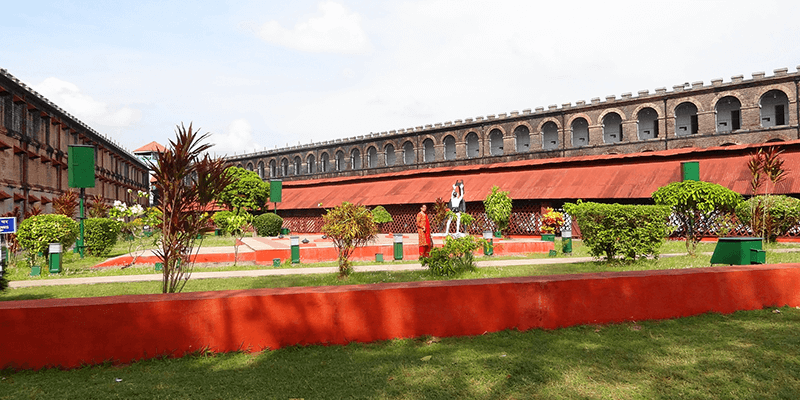 A tryst with India’s freedom struggle at the Cellular jail is a must do- though make sure to book your entry ticket online to avoid unnecessary hassle. The other not-to-miss activities in Port Blair are water sports at the quite well maintained Rajiv Gandhi Water Sports Complex and North Bay beach. You can start your Andaman sojourn with some snorkelling and parasailing; and for those who want to take it slow, Jet ski and banana rides will keep you happy. And the fun unfolds as you set your foot beyond Port Blair. 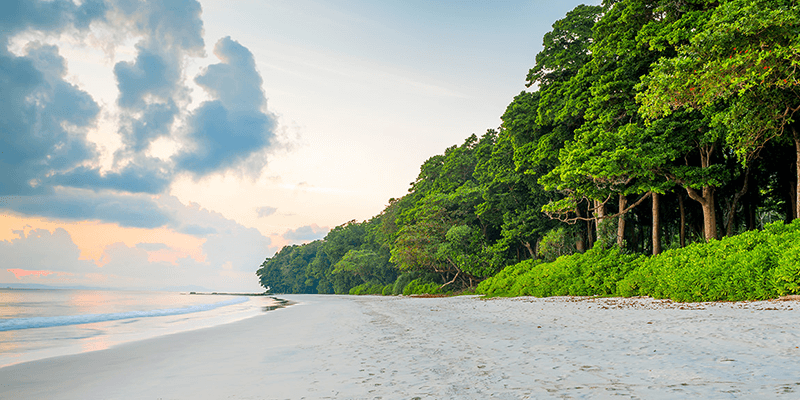 Quaint and still virgin, the Havelock island is slowly but steadily gaining popularity among Indian as well as foreign tourists. It is here that you have Asia’s cleanest beach – The Radhanagar beach which is beauty personified. With an unending stretch of clean sand and crystal clear water, an evening at Radhanagar beach will rejuvenate you like never before. The madness and crowd that you see on other beaches with water sports options missing here, you can easily steal some quiet time for yourself. The other beaches in Havelock are Elephant beach and Kalapathar beach. While Kalapathar that is very close to a quaint little village does not have much to offer, people rush to the Elephant beach for snorkelling and scuba diving. Elephant beach is always throbbing with people and action. While the kids can’t stop playing with water, adventure enthusiasts keep insisting on getting to the sports sooner than the others. Another aspect that makes Havelock my best choice is the quaint locales where you can effortlessly drive around in your scooty amidst green meadows with the fresh air caressing your face. It has all the makings for the next Goa. Note: Take your own mask and tube if you don’t want to keep waiting. Also keep 2 days aside for Havelock, I didn’t and still regret it. The ride to Ross Island is dramatic, exactly the way we have seen it in photographs. The azure sky is sprinkled with white clouds, the coconut trees swaying in a line, and you don’t need a filter to make your snapshot beautiful. It is plain picture perfect. You step your foot on the island and you are reminded of our colonial past. The newly painted bunker stands tall and as you take a tour of this small island, you see how the Britishers always believed in living life to the full. The bakery, the swimming pool and the remains of the church – all speak of past beauties. Though there is not much left of these buildings, their boards have all the information that you would want to know. The trees here are all centuries old, which adds to the beauty of Ross Island. Amidst all this history, there are friendly deer who will give you company. You can feed them, caress them and for little children the joy of visiting Ross Island just doubles up. Note: Carry your own water bottles because you might get thirsty while doing the island tour. The tour to Baratang was marked by many firsts for me. It was my first time that I was driving through a thick forest area, and the icing on the cake was seeing the jarwa family first time. Though we all have read and heard a lot about them, not many are fortunate to see them. I was lucky and we did see jarwa families standing enchantingly. Passing vehicles and people did not seem to disturb them or they have got used to seeing people from ‘mainland’. What struck me was, they looked more at peace with themselves than many of us. Across this forest area is the jetty from where one is to board a ferry for a quick ride to Baratang. The sight of Baratang is nice and warm. People are seen busy doing their business, selling coconut water or calling out for a ride into the village. 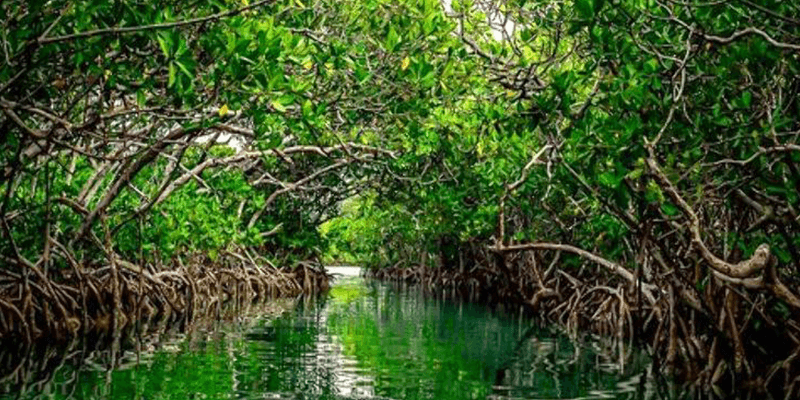 An adventurous speedboat ride took us to the limestone caves and passing through the mangrove creek on way was the best part of this 30minute ride. The cave was dark and beautiful and the walk was refreshing. Note: To visit the limestone caves you will need permission from the Forest Department. This can be done at Baratang jetty too. The adventure could very well be the other name for Andamans. 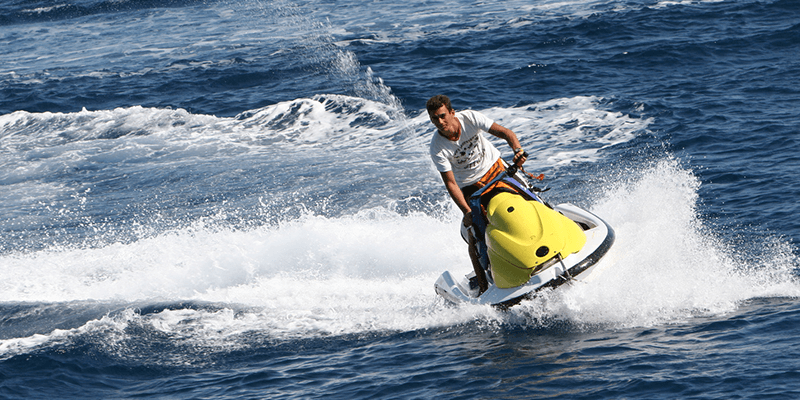 Port Blair and most of the other islands have unending watersports facilities. You name it, and they have it. From sea walking at Elephant beach to submarine ride at North Bay, I kept hopping from one sport to the other. 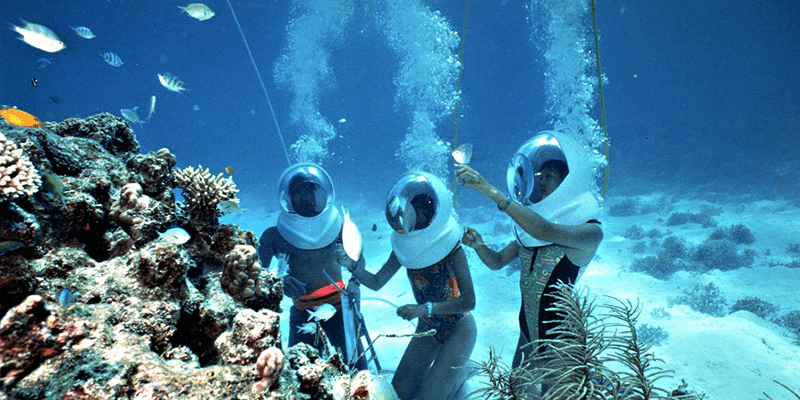 So be it swimming with the turtles, caressing the colourful corals, poking at the ugly looking sea cucumbers or watching a school of multicolour fishes through the submarine window – the attractions are unlimited. Snorkelling and scuba diving can be done with trained guides at Jolly Bouy in Port Blair too so you can end your trip one last round of water sports (which I did) before heading to the airport. Note: At many places, snorkelling cost is included in the ferry, so do enquire. Intriguing enough to plan a trip to Andamans, right now? 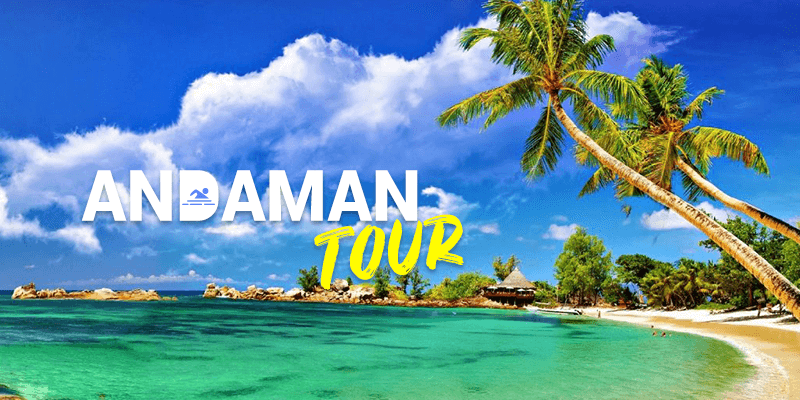 Well, then just pack your bags and get set for a lovely Andaman holiday tour. Next article5 Indian War Memorials that will leave your eyes moist! Amazing description, would be thrilled to visit the White sand beaches! Thank you, Shashank. Please do visit and share your experience with us. Would love to hear back from you! Andamans makes for a lovely beach holiday, do go for it. I am ready to go to Andaman on holiday.But how much money can I spend at Andaman with Family? The rides in the island are expensive. Otherwise Rs 25000 for a 3night/4days stay in Andamans would be fine. Try using local ferries, that will help cut cost. Is it convenient to visit in summer? How much cost it will be with 4 members? Hello. You can visit Andamans until Mid-April. However, summer is also not bad as you can spend most of your time doing water activities. A splendid place to sit by and begin thinking of some incredible travel stories. Awesome destination. No need to go foreign countries. India is having it’s own land of beautiful beaches.. must go place, I visited there in this feb. Super place.